ing to age, interest, time availability, and prior experience. 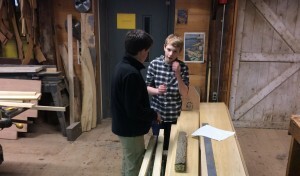 By participating as apprentices for three or more months, students have the experience of building or repairing traditional wooden boats. 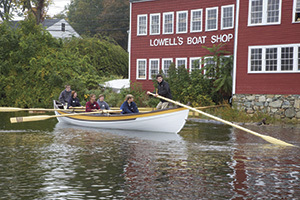 Most apprentice-built boats remain at the Boat Shop to be used in future educational programs. Students are rewarded with the rare opportunity to learn a traditional craft while simultaneously being taught core STEAM concepts as they gain knowledge about maritime and regional history. work with and observe apprentices and senior apprentice mentors during after-school sessions one to two days a week during the school year. The Junior Apprentice Program is designed as a feeder for the Apprentice Program. The Apprentice Program is available to youth in grades 10-12. It is considered an introductory program that teaches boat building fundamentals such as tool use, shop safety, joinery, etc. 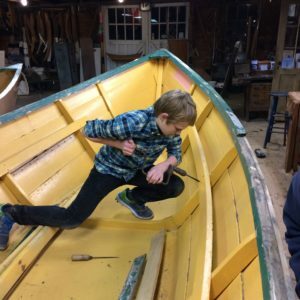 In this after-school program, apprentices spend three days a week during the school year at the Boat Shop building a boat from start to finish. This intensive program is designed to familiarize apprentices with the construction of a wooden boat and gives them a sense of pride in workmanship. 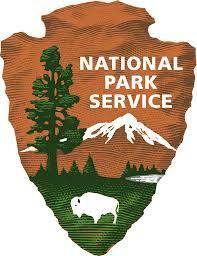 Graduates of the Apprentice Program are eligible for the Senior Apprentice Program. unity to become Counselors in Training for Summer Youth Programs or Junior Docents to assist with the many visitors who come to LBS.